'Fortnite': Epic working on separate shield and health damage on all weapons? A lot has been going on with "Fortnite" lately, not to mention that Epic Games has recently rolled out a State of Development blog post a few days back. It's also a known fact that its massive player base is pitching in some of their ideas to the developers as to how they think the game can be improved and be more appealing to rake in more players. One of these suggestions caught the attention of the game maker and Epic gave a response to it. Someone from the FortniteBR subreddit recently posted an idea stating that Epic should be separating shield and health damage on all guns. This has been the request of a lot of "Fortnite" faithfuls for months now as they can only see the shield damage, but not how much was dealt in their health. Players are only noticing it on random occasions while using weapons other than the sniper rifle. The pitch was so well received that it gained over 8,000 upvotes from the community. As mentioned, Epic's design lead also took notice of the idea and left a comment stating that it was a great suggestion and agreed to see what they can do about it. Most of the folks who saw the comment were glad to know that they took it into consideration. However, a few of them were a bit skeptic about it stating that it has already been planned by Epic to be rolled out with an upcoming update, and only agreed with the Redditor's post to show that they are listening. Meanwhile, a couple of bugs have been brought to light by players as most of them deem them to be game breaking. The issues that have been gaining infamy include the hitmarkers and the Jetpack sound bug. Players who came across this bug claim that they've been getting hitmarkers during the match, though no damage was dealt towards the enemy. The issue has been in "Fortnite" BR for quite a while now and Epic has yet to make a statement about it. The Jetpack sound bug, on the other hand, is an issue where the sound keeps on going after the last player who used it got eliminated. 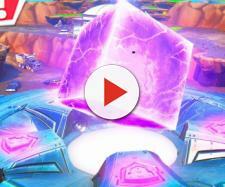 Other players also claim that the sound bug is also evident on eliminated players who used Hop/Crack rocks or a Jump Pad.